How do I prepare for Court for my Divorce Hearing? Going to Court for your Divorce Hearing can be a stressful experience, especially if you do not have a divorce lawyer assisting you. With or without a divorce lawyer, it is important that you prepare for your Divorce Hearing and know what to expect. If you do not have children or your children are over the age of 18 years, then you do not need to be at the Divorce Hearing. Provided that your ex knows about the Divorce Hearing, and your Divorce Application is accurate, then your Divorce will be made by the Registrar of the Federal Circuit Court of Australia in Sydney or Parramatta in yours and your ex’s absence. For those of you who are separated, and have made a joint application, and you both agree to the Divorce, you do not need to attend your Divorce Hearing. Once again, the divorce will usually be made by the Registrar in your absence and will send you your Divorce Order by email or post or through the court portal. If you are making a sole Divorce Application and have children under the age of 18 years, then you or your lawyer must attend the Divorce Hearing. Make sure that you or your divorce lawyer have completed the Divorce Application correctly, this includes making sure that the names you both had on your Marriage Certificate match the names on the Divorce Application. There is nothing worse than turning up to your Divorce Hearing and be turned away because your paper-work is not in order. Bring proof to the Divorce Hearing, that your ex knows about the Divorce Application and Hearing. There is no chance your divorce will be made, if you cannot show that your ex-spouse knew about the Divorce Application and Hearing. Wear appropriate clothing for a formal court room. After all this is a Divorce Hearing and you will be expected to be dressed in a business-like manner. It is advisable to bring a jacket to the Divorce Hearing. If you do not have a lawyer, be ready to tell the Registrar who you are and provide them with details of your marriage and separation date. You will need to show the Registrar that you and your ex -spouse have been separated at least 12 months and that you are citizens or permanent residents of Australia. Although a Divorce Hearing can be a daunting and unknown experience for you, if you are prepared and ready for the Registrar’s questions, then all should go smoothly for you. Once your Divorce is made, then within a month the Divorce Order will be sent to you. 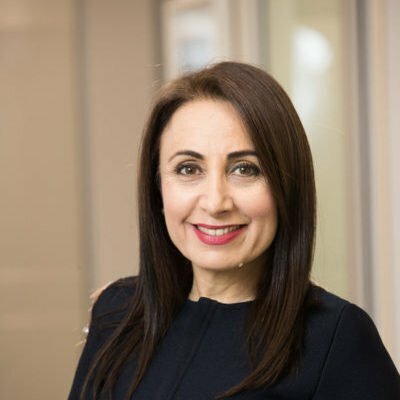 Pamela Cominos is the Principal of Cominos Family Lawyers, Sydney’s best and only Healthy Divorce Practice. She is the founder of the Healthy Divorce Program for people looking to re-build their life following a break-up or divorce.